What name would you like personalized? These sets are on close out and won't be available after they are sold out! Sort, stack, measure, and count. From a babies first block set to an integral part of your child's education in geometry and solids, our Montessori geometric block set is a great addition to your child's educational toy collection. Cut from 100% American hardwood from Maine, our wooden geometric shapes have character! From different grains in the wood to colorful knots, our blocks are each one of a kind originals. These toys are beautiful! Ships in a cotton muslin storage bag. 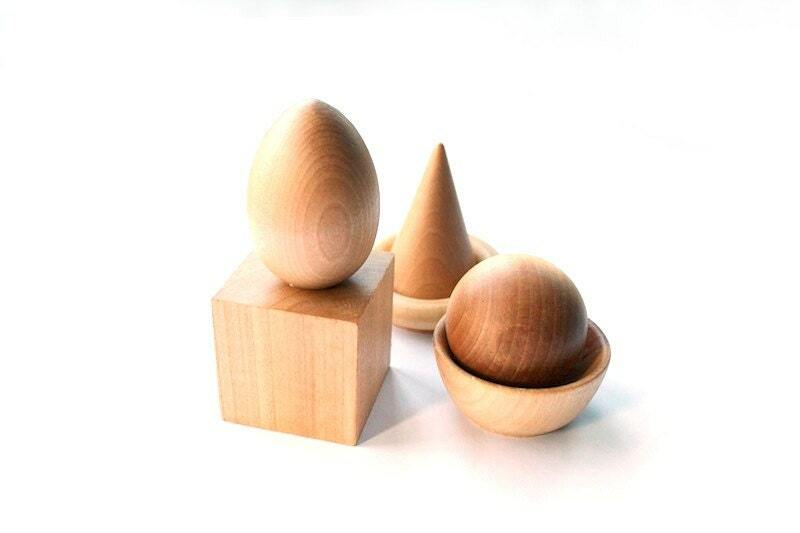 Beautifully made, so smooth and the perfect size for toddlers!